My cleaner is leaving Cleanlinks.co.uk – how do I get a replacement cleaner? 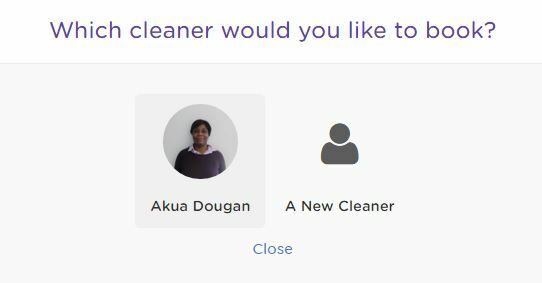 If your current cleaner is leaving Cleanlinks.co.uk and the bookings have been cancelled, you may place a new request out for another cleaner by logging into your Cleanlinks.co.uk account and clicking ‘Request new booking‘ and choosing ‘A new cleaner‘. If the bookings haven’t yet been cancelled, log in to your Hassle.com customer account, click ‘Manage this Relationship’ against the cleaner you wish to change, and then click ‘Replace your cleaner‘. You can then send out a new request for another cleaner. If you are a weekly of fortnightly customer and you are still in your 3 months minimum commitment period; don’t worry: Our cleaner normally let us know in advance and we should find a replacement without any issue.